At 83 hectares (200 acres), this is the largest urban park in Portugal and wonderful for running, with some 10 km of paths. The park stretches from the central part of Porto, off Av. Boavista, all the way to the ocean in Matsoinhos. There are many species of trees, a Sea Life Center, and the unique Pavilhão de Água (The Water Pavillion), designed by the architect Alexandre Burmeister, which was exhibited at the Lisbon Expo 98. The paths are a combination of wooded and open. The park is lovely and landscaped. It is 1.5 km (1 mile) from east to west, and about 4 km around the perimeter paths. Can also use the park as part of other runs, including Av. 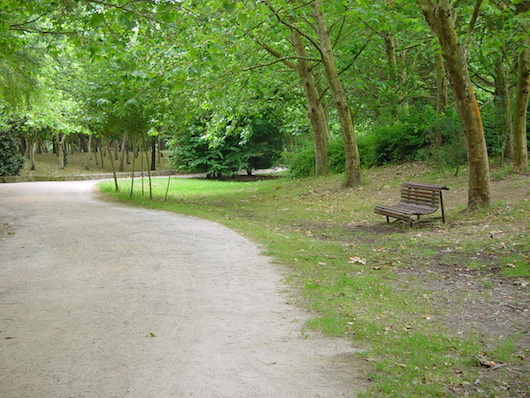 Boavista, or the oceanside path from the western end of the park to Foz (about 4 km).